Over the past two months, we have increased the number of Ambassadors to 111, with 256 members in our Facebook group. 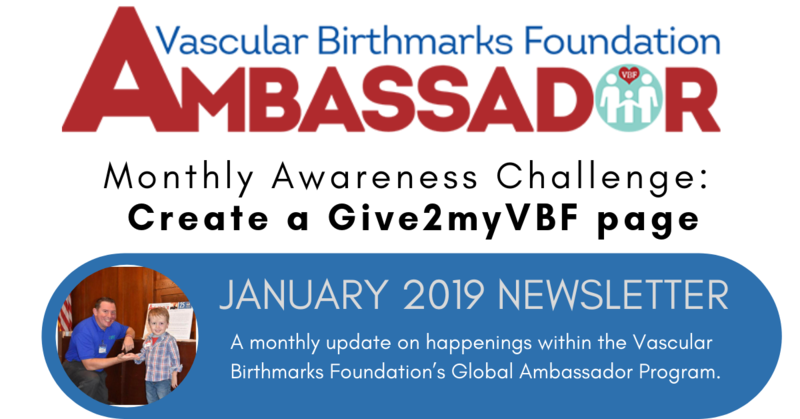 We currently have Global Ambassadors in 18 countries and 37 states, and are actively recruiting Ambassadors all over the world to promote awareness for vascular birthmarks. We are working hard to update our new Ambassador Search Feature with everyone’s profiles and to work through any bugs to make sure that individuals around the world can get in contact with you for networking and support. 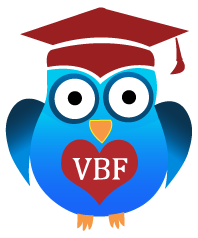 Last month, Dr. Linda made the decision that we will make the VBF Educate Online Course modules available to registered Global Ambassadors. The Physician E-Learning Center provides a platform for doctors all over the world to earn CME medical credits, and this module is now available to Global Ambassadors for free. The VBF Library will also be available to Global Ambassadors for free. The VBF Library includes the latest scholarly articles in the field of vascular birthmarks for over 70 birthmark-related keywords. Every month, we challenge our Ambassadors to share VBF news, initiate fundraising events and spread awareness in a variety of days. 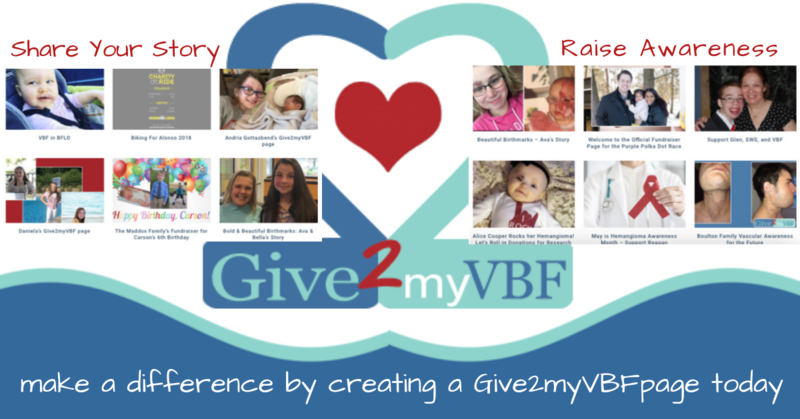 This month, we challenge you to share your story with a Give2myVBF personal fundraising page. You can personalize a page with your story, and share your special link with your family and friends to ask them to support your annual awareness campaign all year long. Funds generated from your page can help others receive help at a VBF conference, support research, help our VBF iTEAM, or go towards general support.